DOHA, Qatar (AP) — OPEC isn’t what it used to be. Ahead of a planned meeting of most of the cartel and other major oil producers in Qatar to approve a freeze on oil production, some OPEC members are pumping record levels of crude even as prices wallow at less than half their level two years ago — a clear sign of the dissention gripping the group. While markets may well react off any decision made on Sunday in Doha, analysts predict low prices will continue through this year and into the next as producers keep pumping to keep their government budgets afloat. That calls into question what long-term gain producers can expect from a promised freeze, and indeed how much power OPEC now wields as American shale firms stand poised to re-enter the market if prices rise. At least 15 oil-producing nations representing about 73 percent of world output are expected at the Doha meeting, Qatar’s energy and industry minister, Mohammed bin Saleh al-Sada, has said. The gathering follows a surprise Doha meeting in February between Qatar, Russia, Saudi Arabia and Venezuela, in which they pledged to cap their crude output to their January levels if other producers do the same. The countries hope the cap will help global oil prices rebound from their dramatic fall since summer 2014, when prices stood at above $100 a barrel, though no one is talking seriously about the more dramatic step of reducing global supply by collectively cutting production for now. Prices dropped briefly under $30 a barrel, a 12-year low, in January, but have climbed to around $40 a barrel this week, boosted in part by market speculation about the coming meeting. The drop is good news for consumers. Drivers in the United States now pay $2.05 a gallon (54 cents a liter) on average, the lowest rate for this same date since 2009, according to AAA. Airlines also have enjoyed savings of billions of dollars in jet fuel costs. But for producing countries that depend on oil revenues, the results have been devastating. OPEC member Nigeria’s once-fast-growing economy cratered, while Venezuela faces triple-digit inflation and rationing. The low prices have squeezed wealthy Gulf nations too, though less dramatically, with rulers across the United Arab Emirates raising fees on airport departures and parking. Iraq says it boosted its production to over 4 million barrels of oil a day in March, record territory, as Kuwait says it pumps 3 million barrels a day and wants to reach 4 million a day by 2020. Analysts say Bahrain, Oman and Saudi Arabia face the biggest threat from the low prices, especially if no deal is struck. OPEC kingpin Saudi Arabia, producing some 10 million barrels of oil per day, is rapidly burning through cash reserves while keeping its production high to fund its ongoing war in Yemen and cover government spending. “If nothing is decided in Doha, then the fiscal constraints will accelerate much more rapidly than if action is taken and oil prices respond,” said Mathias Angonin, a Dubai-based analyst with the ratings agency Moody’s. But several spoilers lurk for oil producers, chief among them OPEC member Iran, which announced late Friday it would send an emissary to the meeting. Sunni-ruled Saudi Arabia already has said it won’t back any freeze if Iran, its Shiite rival, doesn’t agree to it, throwing into question whether any deal will be agreed to at all. The kingdom seems determined to ride out the low prices that could squeeze Tehran. That dispute underscores the level of discord inside OPEC as it faces arguably its biggest challenge since the oil glut of the 1980s. “Ultimately, we believe the biggest hurdle to reaching any meaningful agreement will be the conflicting Saudi and Iranian stances,” Goldman Sachs said in a report released this week. Yet there is a market risk to walking away without a deal: a contentious OPEC meeting in December that ended without an agreement saw oil prices tumble. Meanwhile, though more-costly U.S. shale oil production has dropped, it could re-enter the market if oil prices rise. 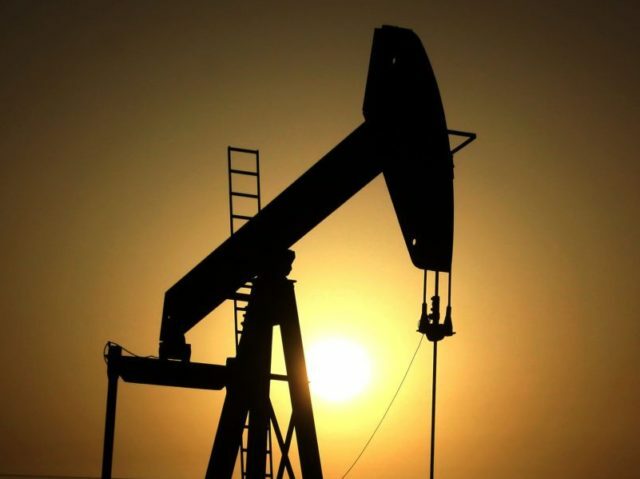 And a large amount of crude already building up provides a major damper on prices, as does a generally weakened global economy, according to the U.S. Energy Information Administration.